The Time trial series started on the 16th. April and ran through to August 13th. Over that time there were 568 individual rides averaging 33 riders signing on each evening. All of the events are run under the rules and regulations of cycling time trials. For far too many evenings this year the weather was not ideal with riders suffering wind, rain and cold and on many occasions all three at once. It is therefore pleasing that so many turned up week upon week. Without Lesley and Phil Meadows, John Main, Colin Moore, Steve Tilly, John Kelly, Bill Millen and Mike Cole running the individual evenings the events would not be able to take place. Bill Millen also acted as timekeeper for the majority of events. Assistance is also required with timing out, pushing off and other jobs and it is great that so many turned up on their allotted night to do their bit. Thank You everyone. Lots of new members had a go over the course to the year which was good to see. Next year it would be good if more registered for the series and were available to marshal. It is also worth reiterating that you compete at your own discretion and should adhere to the rules of the road at all times. The results are based upon a riders 6 best single lap rides and one 2 lap ride. The hill climb was successfully introduced last year as a request from members keen to have a different challenge in the season. The format is that a riders 3 best rides from 4 counts towards the hill climb trophy. Over the four evenings 82 individual rides were counted, unfortunately this year week 3 was run in heavy rain of which too much of it quickly found its way into the timing clocks causing them to fail. 16 hardy souls turned and rode! Because of this the competition will for this year be based upon a rider’s best 2 rides from 3. To streamline admin this year all of the results were placed directly onto the website having first been checked and handicapped by Ian Hutchinson and Derek George, Thank you gentlemen. That is it for another year! Watch out on the club website around Christmas for details of 2016! Posted on September 18, 2015, in Evening Series, Hillclimbs, Time Trials. Bookmark the permalink. 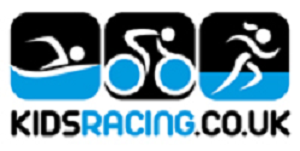 Comments Off on EVENING TIME TRIAL AND HILL CLIMB SERIES 2015 REVIEW.